It doesn’t get any better than this! 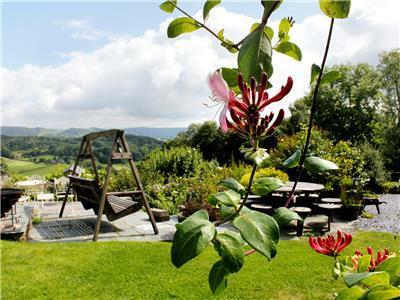 This Idyllic Lakeland Studio enjoys a very rural aspect with wonderful panoramic views, and set in ¾ acre of cottage garden. 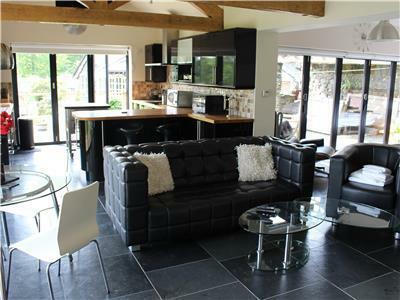 This holiday apartment is wonderfully appointed accommodation for two and is situated well to discover the Lake District. 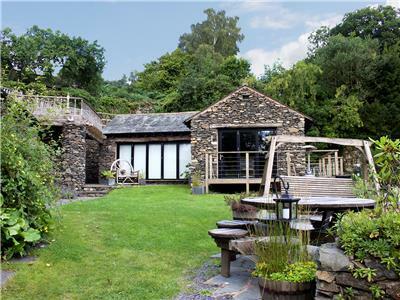 Cartmel Studio is a spacious modern and contemporary building sitting detached within the grounds of the main cottage and has amazing features. 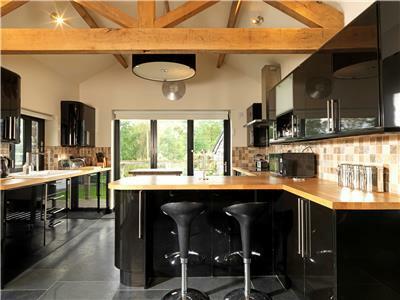 The property enjoys high ceilings with exposed wooden trusses. 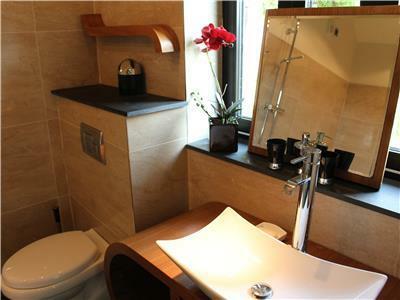 Slate tiles throughout. 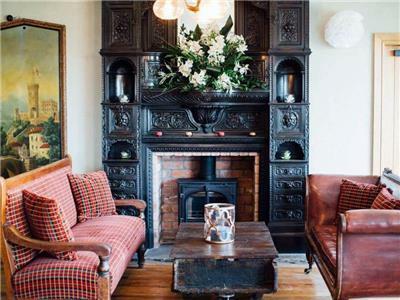 A modern wood burner stove. 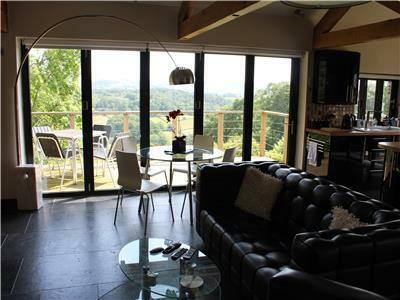 All glass sliding doors and windows to give the optimum stunning views of the surrounding area towards the Lakeland Fells. 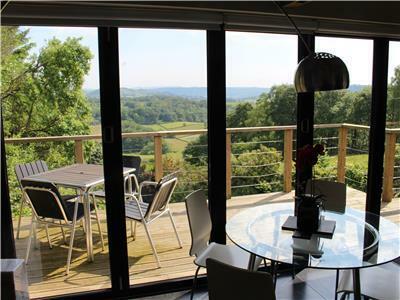 From the doorway you can wonder for miles along local country lanes or well trodden footpaths, mostly leading to a local pub, plan carefully to achieve that! The local area has numerous cycle routes for both mountain and road bikes. 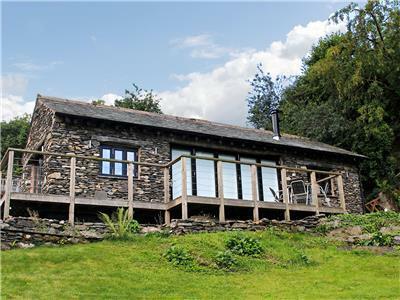 For sightseers beyond the beautiful hills, mountains, forests and lakes, the delightful villages of Ambleside, Hawkshead, Sawrey (Beatrix Potters Home) are all 30 minutes away. 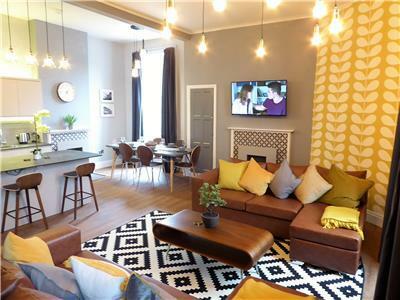 The Studio is spacious and has been furnished in a contemporary style whilst maintaining a cosy atmosphere. 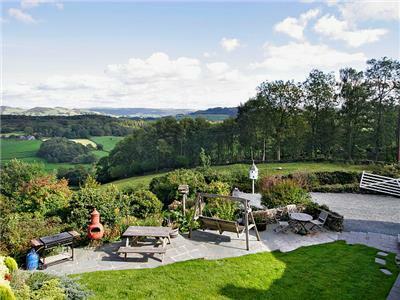 The local area gives access to splendid walks, and one that must be experienced includes wonderful views of Lake Windermere. 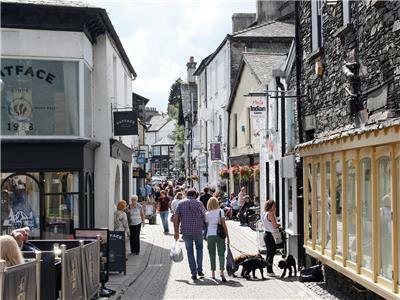 Alternatively, a 20-minute drive leads into the heart of the bustling towns of both Windermere and Kendal, where many of the local attractions can be enjoyed together with a range of Supermarkets and transport links. 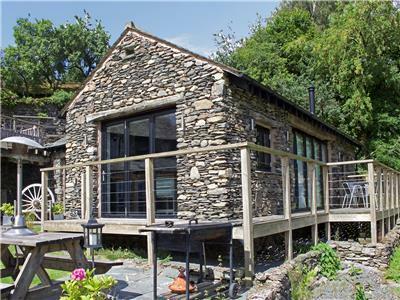 Cartmel Studio makes a superb central base for exploring the Lake District, perfect for outdoor enthusiasts and nature lovers. 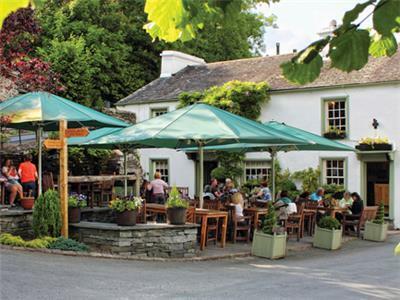 The Masons Arms at Strawberry Bank and The Hare and Hounds at Bowland Bridge are both famous Lakeland gourmet Pubs and are only 1 mile away with a local friendly Farm shop. 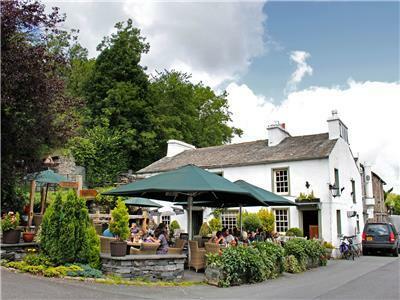 A short drive away you can enjoy either the Brown Cow at Winster or The renowned Punch Bowl at Crosthwaite. 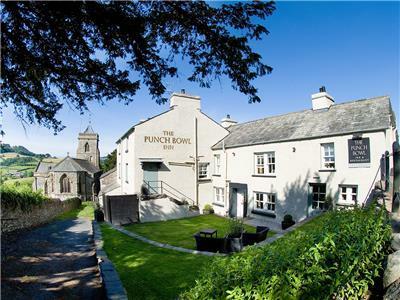 The area has horse riding facilities and even boasts a famous race course at Cartmel with Internationally acclaimed L’Enclume Michelin star restaurant. 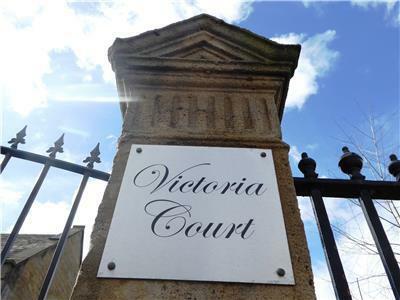 The Victorian spa resort of Grange over Sands and Arnside are great day trips to the seaside. If you are a sailor? 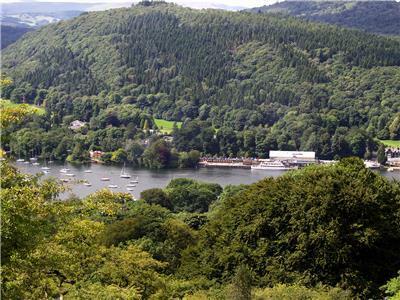 why not hire a boat on Windermere? 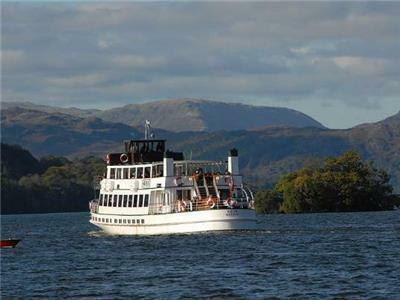 or maybe go on the Victorian Steamer on Coniston water. 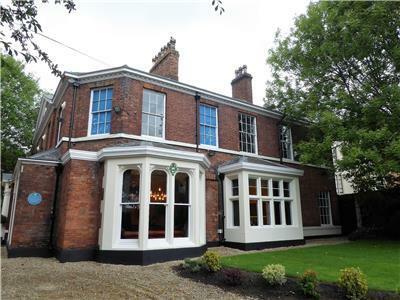 Or if you are into Country houses why not visit a nearby one? 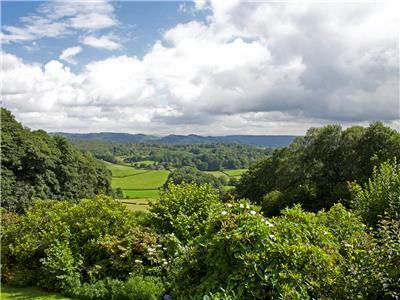 Holker Hall and Levens Hall or even Medieval Sizergh Castle and Barn are an easy drive away. 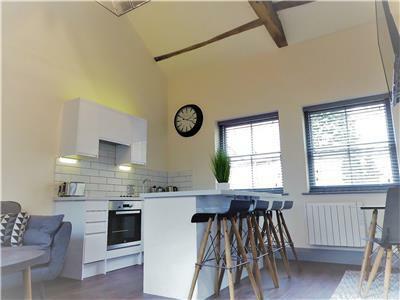 Follow the stepping stones up the garden, which brings you to two steps on to the decking which then leads into spacious Kitchen which has underfloor heating throughout. 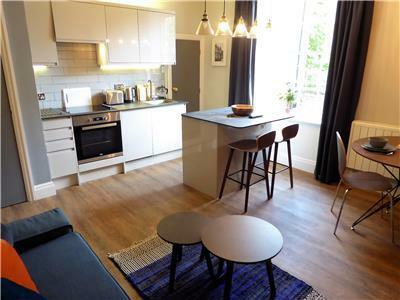 The kitchen has washer/dryer and dishwasher, central unit, full utensils, breakfast Bar. 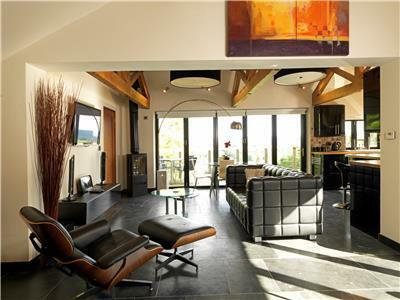 Dining area with glass circular table,which over looks the garden and the views of Lakeland Fells. Sliding doors opening out on to a private decked patio. 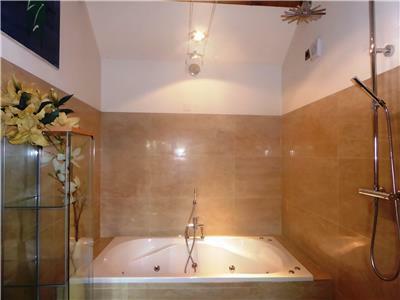 Wood burner stove, adjacent bathroom with double Jacuzzi bath, open shower, toilet, vanity unity sink. 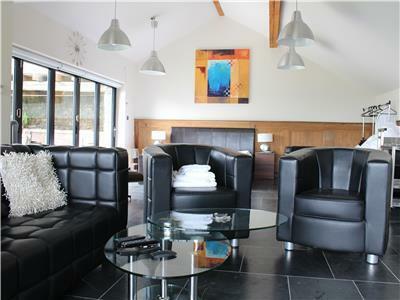 Living area with flat screen TV on the wall. 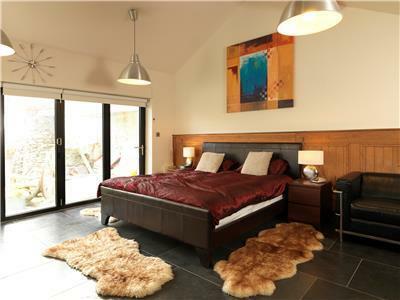 Large bedroom area with super size king bed. 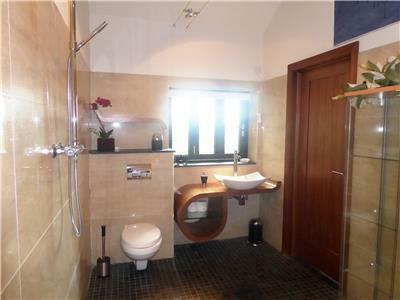 Electric blinds throughout. 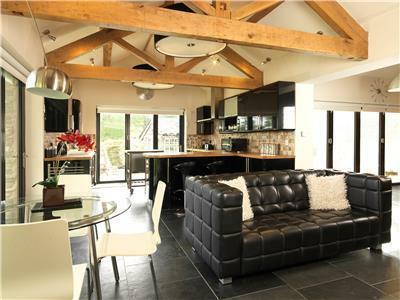 This Cumbria Apartment will leave you with wonderful memories of a secret cosy retreat in an idyllic setting. 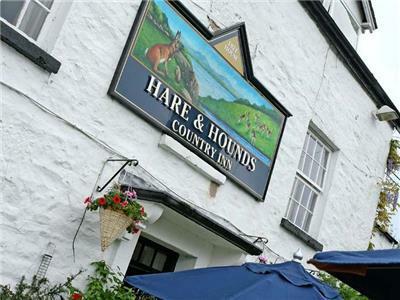 The Masons Arms	 Restaurant 1000 m.
Hare & Hounds	 Restaurant 1306 m.
The Punch Bowl Inn	 Restaurant 4.01 km. 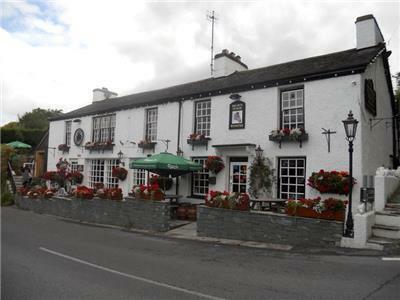 Lyth Valley restaurant	 Restaurant 4.78 km. 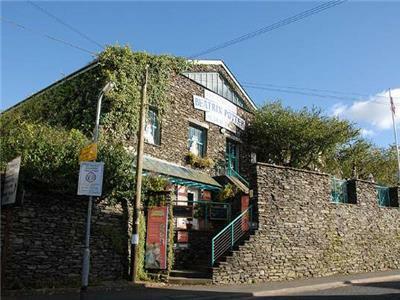 Lake Windermere	 Tourist Attraction 5.43 km. The Brown Horse Inn	 Restaurant 5.81 km. 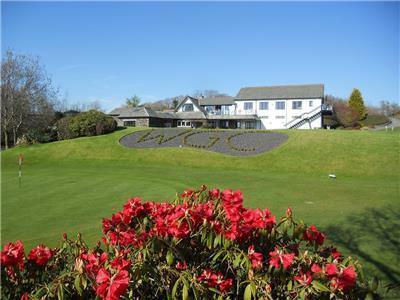 Windermere Golf Club	 Golf Course 6.10 km. 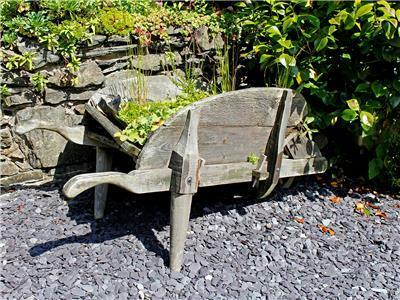 The World of Beatrix Potter. Museum 6.71 km. 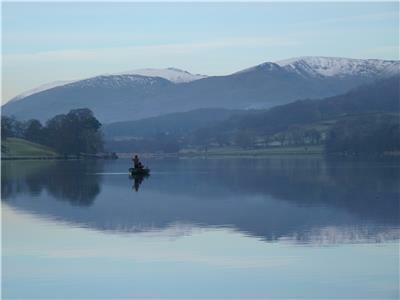 Esthwaite Water, Trout fishery	 Fishing 6.80 km. 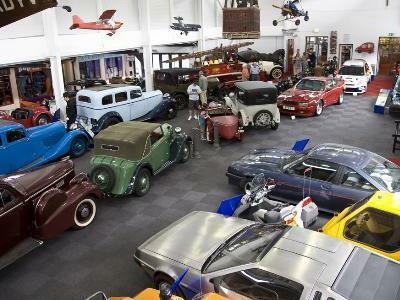 Lakeland Motor Museum	 Museum 7.01 km.